Ice Blazer WST2 tyres will keep you in control no matter what conditions you might face. Specifically designed for extreme conditions, especially during the winter months, these options provide the best levels of performance and safety that make them exceptionally popular. More drivers are choosing to own a set of summer and winter tyres to get the best performance and usage from every set on each journey. 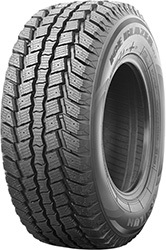 Sailun Ice Blazer WST2 tyres are a fantastic choice.